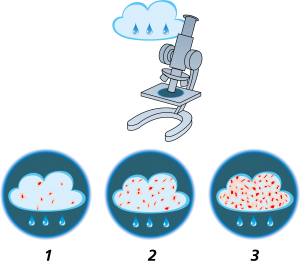 Relative humidity is a measure of how much water the air contains. 50% relative humidity means that the air is moisture saturated to half. The relative humidity is affected by the temperature. With an air temperature of +20°C and a humidity of 60%RH, air humidity rises to 100%RH if the air is cooled to 12°C. The relative humidity in the air increases as the temperature drops. 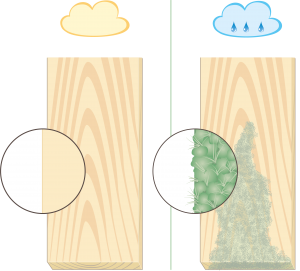 When the relative humidity amounts to 100%, it begins to condense moisture, forming dew. The dew point indicates the temperature at which humidity has risen to 100%. If the temperature is 20°C and the relative humidity is 40%, the dew point is 6°C. 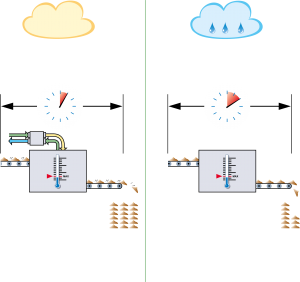 At a temperature of 20°C and an air humidity of 60% the dew point becomes 12°C. The dew point in the outdoor air is lowest during the winter and then rises when it gets warmer. Moisture is found everywhere. 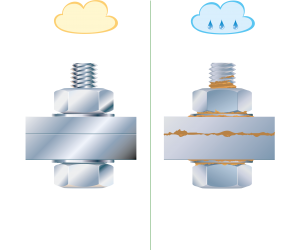 If the air is too moist it can reduce the efficiency of a production and cause damage to the product. Moisture can also damage houses and other types of materials shown below. Air humidity is an essential quality factor for the manufacturing of different products, all the way from production to the display in the store. Controlled humidity ensures high level of hygiene and quality when the products are being produced and delivered. A desiccant dehumidifier can in many cases also increase the production capacity during all the months of the year. 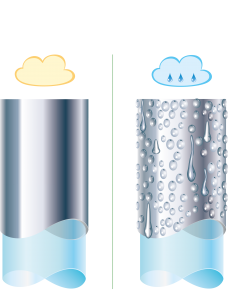 If the dew point of the air is kept below the surface temperature of a cold surface, for example a cold water pipe, there will be no condensation. Mould and fungus formation is prevented if the surrounding air is kept below 70%RH. Iron and steel does not rust if the air over the surface has a relative humidity below 50%RH. If the relative humidity of the surrounding air is held below 50%RH, most bacteria will not find a suitable environment to multiply. 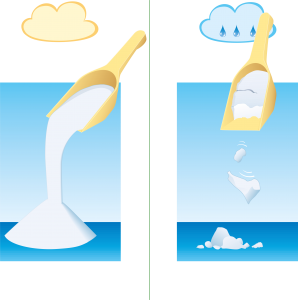 A surface will not have ice formation on it if the air in contact with it has a dew point lower than the surface temperature. 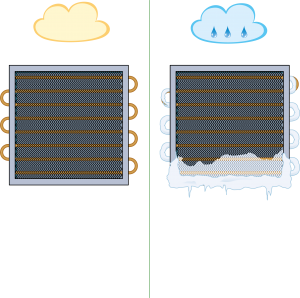 When drying products a low relative humidity is essential for a fast process. If the products are sensitive to high temperatures dehumidification is the only way to speed up the process. The quality of dry drugs, dry food, hard candy and other hygroscopic material can only be maintained if the relative humidity is kept below a certain level.